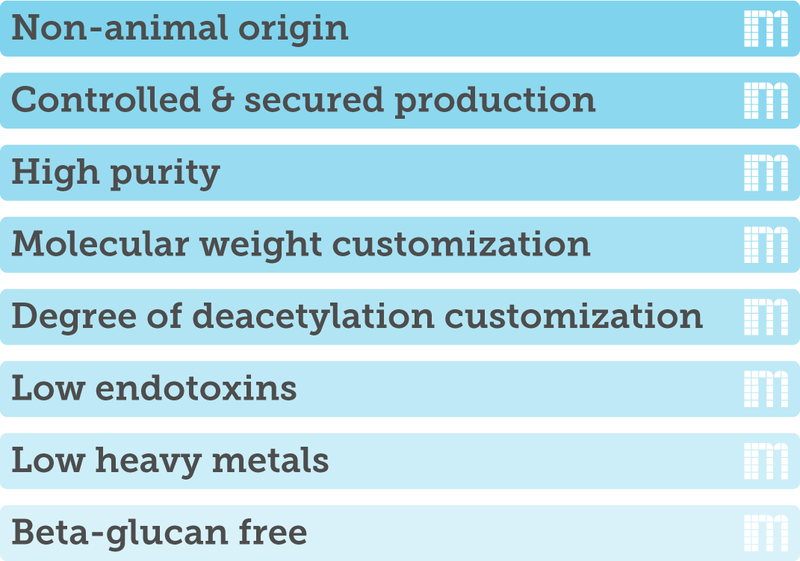 Chitosan (deacetylated chitin) is a remarkable biopolymer. 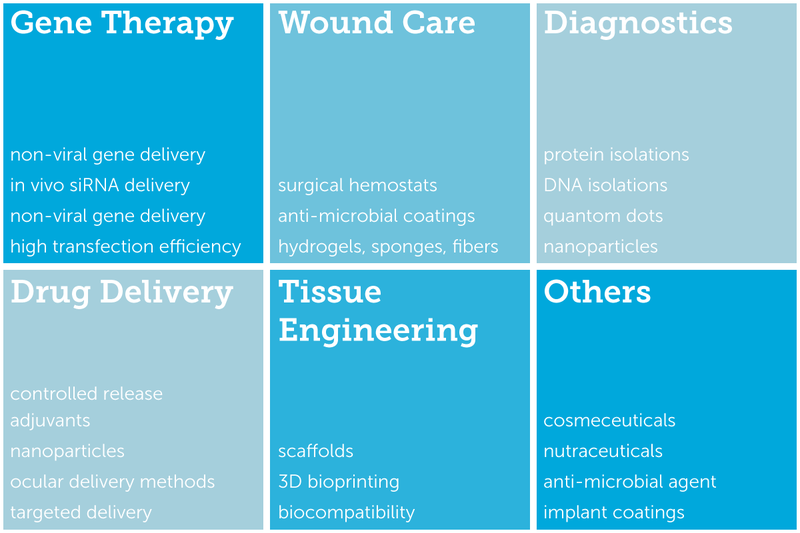 Some of its properties: cationic, biocompatible, non-immunogenic, nontoxic, biodegradable, mucoadhesive, microbiostatic, and natural. We strive to offer the highest purity chitosan, with the highest batch-to-batch consistency. Eliminate variables in your product by using a controlled chitosan with specific molecular weight and degree of deacetylation.